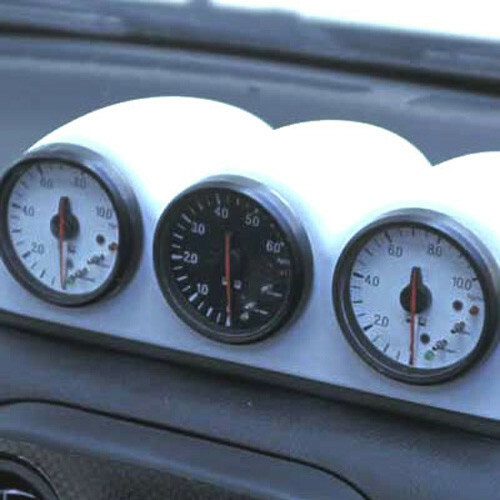 Gauge Holder (3 meters) made by Garage Vary for the NA (1989-1997) Miata. 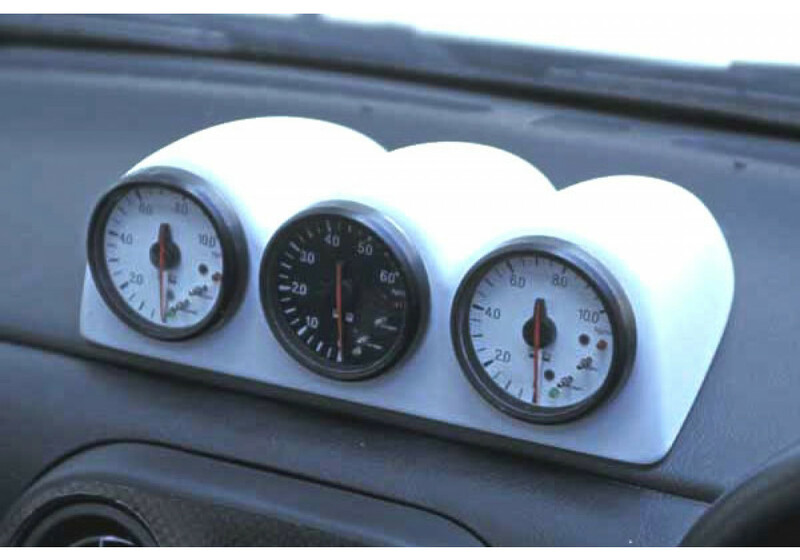 It installs on the dashboard using 3M double-sided tape and provides space for 3 extra gauges so you can monitor your vehicle during racing. Please note that no meter is included. Garage Vary Triple Meter Holder should be ordered at REV9 Autosport https://rev9autosport.com/garage-vary-triple-meter-holder-2844.html as they provide the best service and speed we've seen so far!